Wood Panels: Whose Government Is It Anyway? 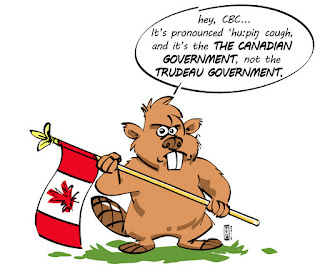 I am writing to you in regards to the Wendy Mesley and Terry Milewski's repeated use of "Trudeau government" on the Friday November 6th National News broadcast. One thing that really bugged me about the media reporting during Steven Harper's rein was the repeated usage of the phrase "Harper Government" as if he created it and we were his subjects. I didn't vote for him, I resented how he led and the direction he took the country. Let us never again be so constrained. It is your government, it is my government, it is the government of the Canadian people that should be working FOR all Canadians. Please feel free to publish this cartoon and letter if you so desire. I drew and wrote the cartoon and joke so you need not worry about rights infringement. 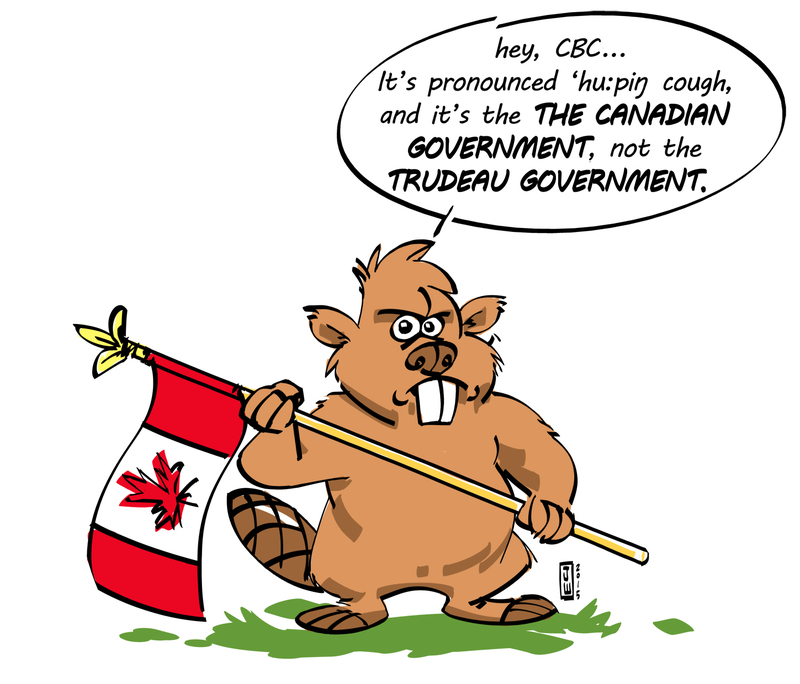 I also don't get your cough reference and -- I don't get your displeasure at our government being called the "Trudeau Government". I think the term "Harper Government" came into use because most Canadians disagreed with that PM's ideas and wanted to distance themselves from them. Now, we're all joyful because there's a new, fresh PM and we're joyfully celebrating the "Trudeau Government".